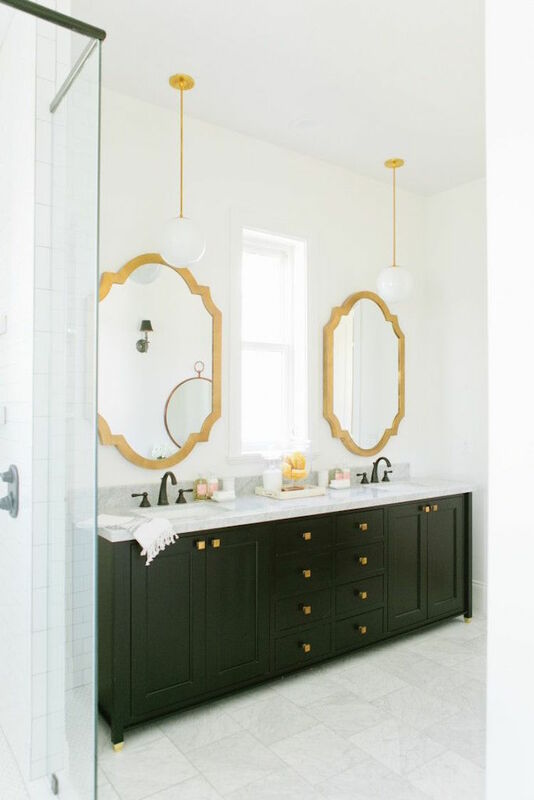 Ever since I came across this powder room on Pinterest, I have been dreaming of creating a similar look. I love everything about it. 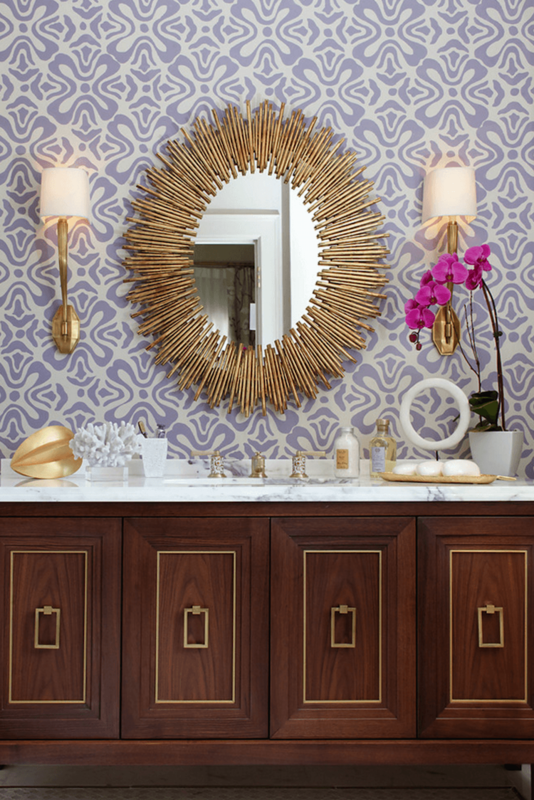 The gold touches, gorgeous mirror, sconces, the wallpaper – everything is so beautiful together! Luckily, I’m working with 2 clients that also love this look. 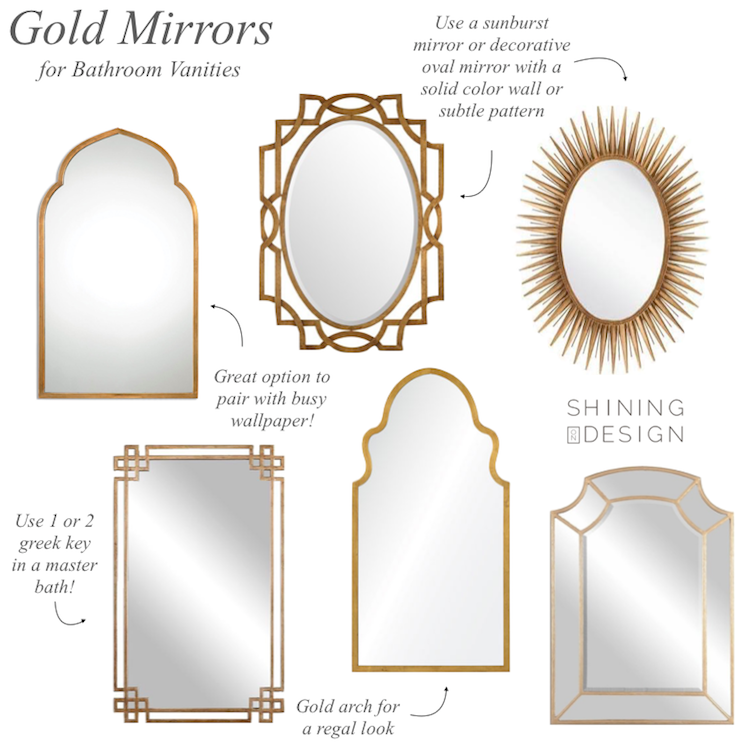 I have a few other ideas up my sleeve for them too, but let’s just say I’ve been doing a lot of research on gold mirrors and wallpaper lately. 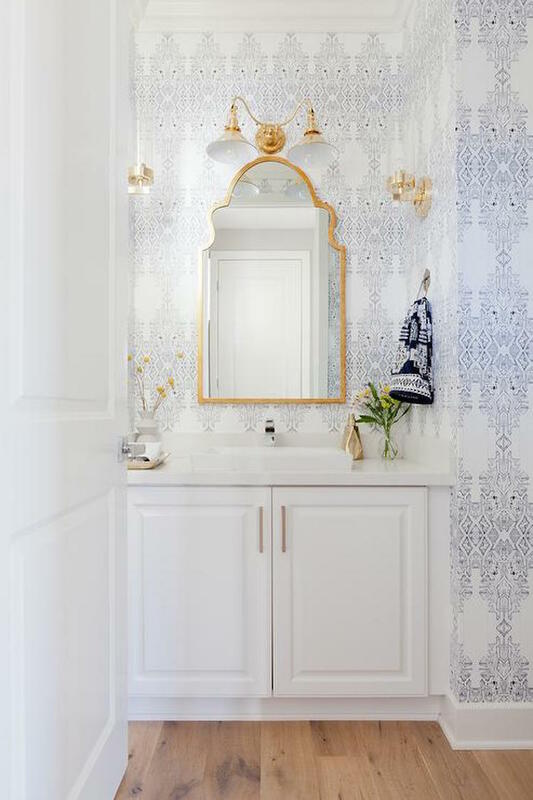 Besides the gold mirror, one of the first thing that struck me was the light and airy wallpaper (available in gray and blue). 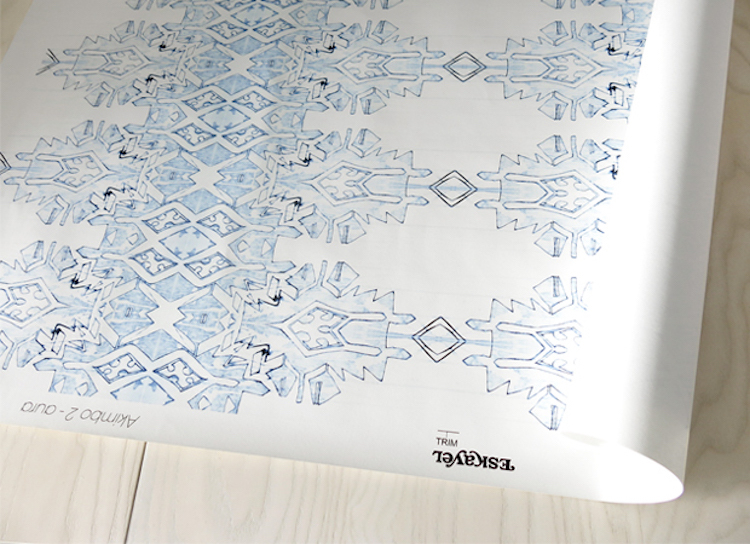 The pattern is intricate but not overwhelming and the repeat is perfection. 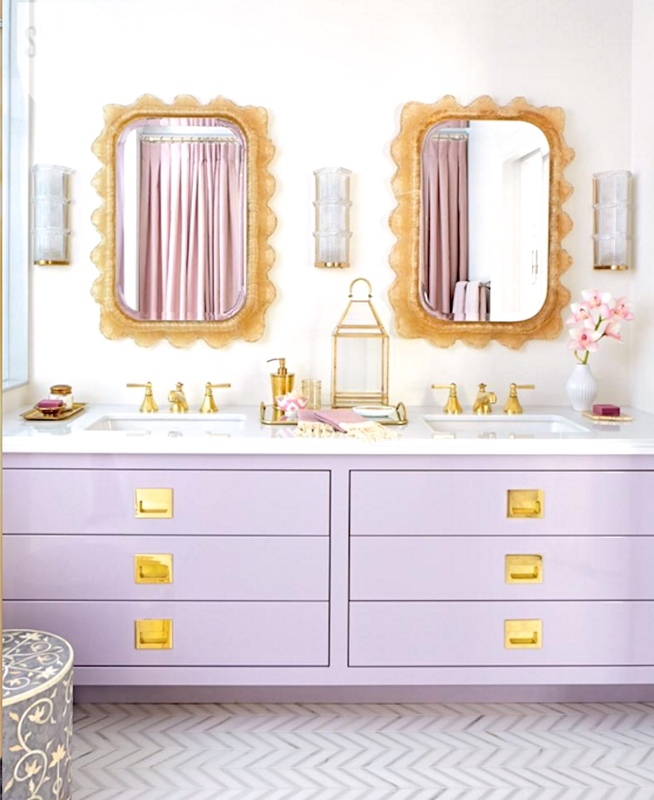 It would look great in a small powder room or even a larger bedroom. It’s from a company called Eskayel – which hopefully you’ll be hearing more of soon! Most of their prints are influenced by the sunset and ocean (two of my favorite things) and they are absolutely gorgeous. 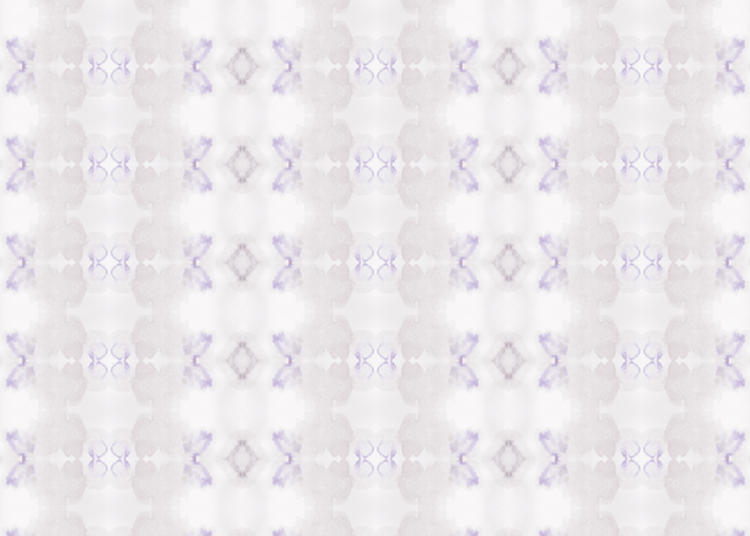 I’ve had my eye on quite a few for my dream home, including this one called Icelandic Mist in Lavender. Their prints make for some jaw-dropping wall covering, but they also carry pillows, rugs, baskets, phone cases and more. 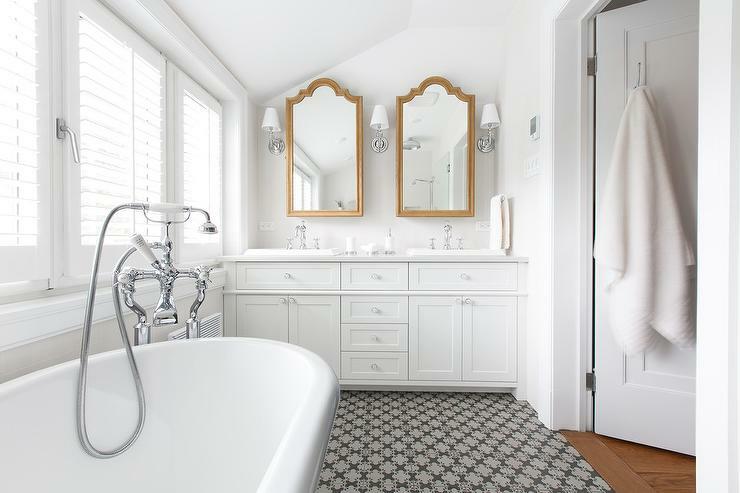 I happen to fall in love with the Clairmont Silk & Wool blend rug – which may stay on my dream house wish list forever 😉 It is not cheap! 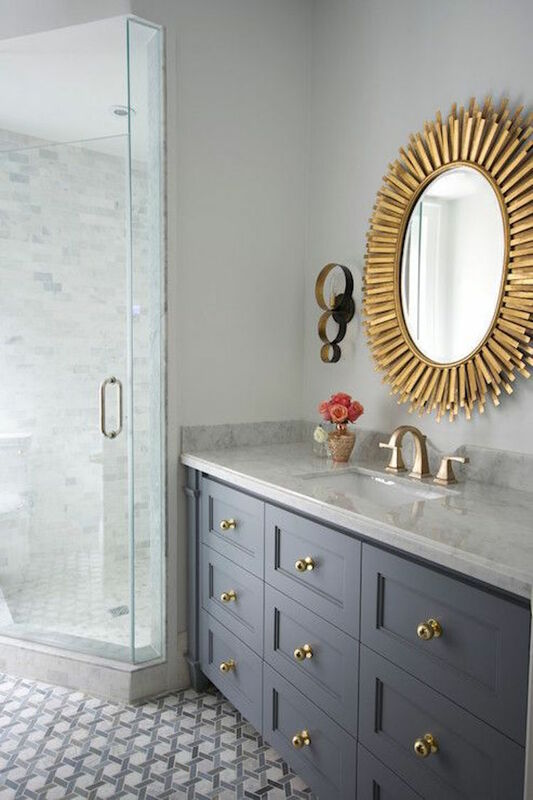 This bathroom below PROVES that you can mix silver fixtures and hardware with gold mirrors. 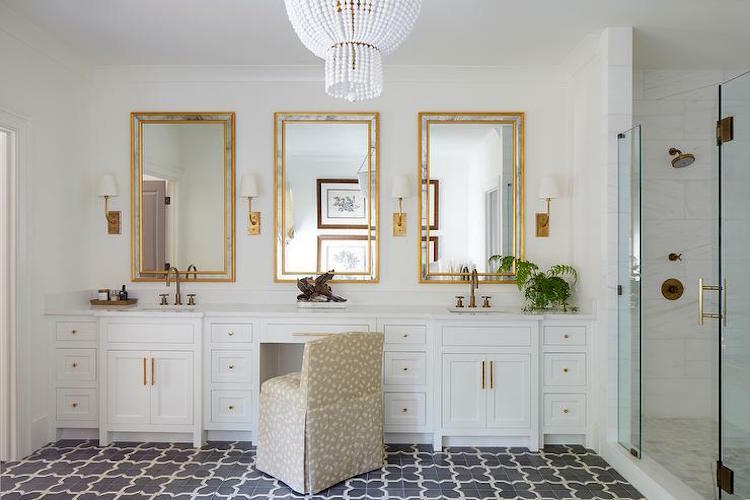 Here are just a couple more bathrooms that look lovely with gold mirrors – enjoy! What trends are you loving? I’d love to hear!